Kathryn Sullivan performed with the Boston Ballet, Les Grands Ballet Canadiens, Connecticut Ballet, and Les Ballet de Nancy in repertory from classical ballet to contemporary dance. She has taught at Broadway Dance Center, Ballet Hispanico, La Guardia High School of Performing Arts, and has done master classes and judging for Professional Dance Teachers Association and Dance Masters of America. Her choreography has been presented at Joyce Soho, Cunningham Studio, New Choreographers on Pointe, and commissioned by Barnard College. She was a co- director and choreographer for InnerLandscapes Dance Theater for seven seasons. 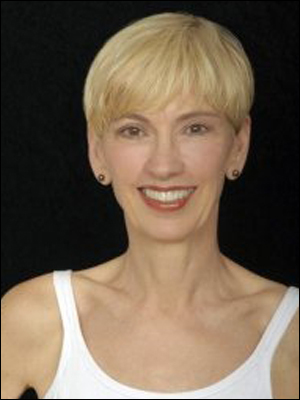 Kathryn also teaches at Steps on Broadway, and is on the ballet faculty at Barnard College at Columbia University. I use a contemporary approach when teaching the principles of ballet, making them applicable and accessible to all dance styles. This class will focus on strengthening body placement and alignment as well as to investigate weight transfer, musicality, and how to maximize flexibility and rotation. We will use choreographic elements that challenge the dancers, and allow them to explore personal expression. Always a lively, inspiring, motivating atmosphere!